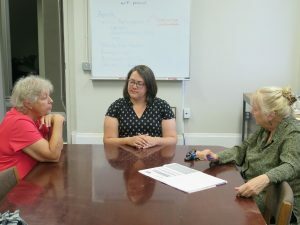 Community Matters is partnering with the United Way to develop a pilot project called Community Grandparents. We are looking for mentors to share skills and donate time to low income parents in Lower Price Hill. Time commitment is flexible and up to you! We will match you with someone who can benefit from your life experience and who share similar interested as you. The Vision for the Community Grandparents project is to provide low-income parents with the emotional and practical support they need to raise healthy children thereby improving and sustaining their lives. The Goal of this new project is to identify and connect younger parents with older mentors to help the parents meet life’s challenges and to move their families in a positive direction. These relationships will also act as a spark providing mentors with the opportunity to build meaningful and lasting relationships in Lower Price Hill. Community Matters hopes to be a bridge connecting younger parents with older community members who are catalysts for positive change in the lives of the parents and their children. We encourage and promote relationships that lead to self-sufficiency for our neighborhood parents and to enrichment and fulfillment for our mentors. The Community Grandparents will offer support & practical advice on parenting, running a household, and planning for the future. During the time together, the team will develop one goal for the parent to achieve. One of the long-term benefits is empowering parents to take future steps toward family stability.